Langtang Heritage trek is a newly opened trekking route in popular Langtang trekking region. 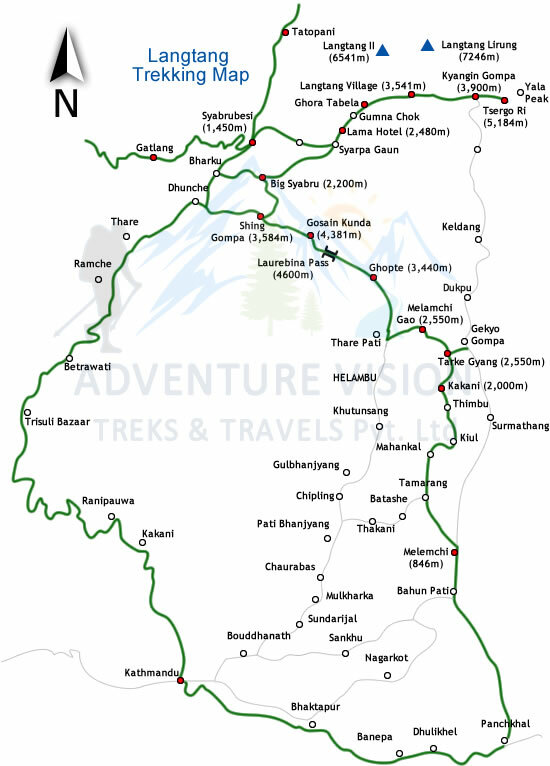 This trekking route covers culture, religion and daily lifestyle of Tamang community living in Langtang region. Langtang heritage trekking trial is located at north of Kathmandu. It is an astonishing journey through Tamang villages including their culture and tradition. They are descendants from Tibet and are not familiar with any foreigners. Their culture is virtually uninfluenced. The trekking trail is prolific in the month of March and April, as Rhododendron forests have many different species of trees, birds and butterflies during these seasons. Langtang Heritage trekking track is recommended for those trekkers, who would like to see traditional and uninfluenced heritage, custom and lifestyle of indigenous Tamang people. Langtang heritage trekking journey offers you to discover rough history of Tibetan ancestors. Their descendants are now Buddhists and living on agriculture and trade. They dressing codes are colorful and their houses are decorated with beautiful woodcarvings. The views of the Himalayan snow-capped mountains are unforgettable and breath-taking. This fascinating cultural trek takes you deep into the highlanders villages of Tamang people to introduce yourself to their culture and there way of living. Commencing this heritage tour into langtang region offers you both natural sightseeing and cultural touch. Explore the unseen villages of langtang region and learn the humble culture of Tamangs and other inhabitants. Day 01: Welcome to Kathmandu valley (1360m). Upon your arrival we assist you from international airport to our hotel. Rest overnight. Day 02: Drive to Syabrubesi via Trishuli from Kathmandu. Today early morning scenic drive for 9-10hours from Kathmandu to Syabru Besi. Rest overnight. Day 03: Trek to Gatlang from Syabrubesi (1450m). We trek from Syabru Besi to Gatlang walking for 5-6hours through some of the most scenic forest and wide landscape. Rest overnight. Day 04: Trek to Tatopani from Gatlang (2238m). Today we trek for 5-6hours all the way from Gatlang to Tatopani. Explore around and rest overnight. Day 05: Trek to Thuman from Tatopani (2607m). Today we trek from Tatopani to Thuman. We pass through beautiful natural scenic places walking for 5-6hours. Rest overnight. Day 06: Trek to Rasuwagadhi from Thuman (2338m). Today we trek for 5-6hours from Thuman all the way to Rasuwagadhi. Rest overnight. Day 07: Trek to Briddim from Rasuwagadhi. Today we trek from Rasuwagadhi to Briddim walking for 5-6hours. Rest overnight. Day 08: Acclimatization day in Briddim (2229m). Explore around and enjoy the scenic view of mighty Himalayas. Enjoy the cultural programs and hospitality. Rest overnight. Day 09: Trek to Syabrubesi from Briddim. Today trek for 5hours from Briddim all the way to Syabrubesi. Explore around and rest overnight. Day 10: Drive back to Kathmandu and sightseeing within the valley. Today early morning drive from Syabru Besi to Kathmandu valley. Enjoy evening dinner at hotel with cultural programs. Rest overnight. Day 11: Departure from Kathmandu to your onward destination. Hope you enjoyed the fascinating trek to langtang region. Farewell. Write us an email for SPECIAL PRICE. Airport pick up and drop service. All accommodation and meals throughout the trek. Potter equipment and potter insurance cost. Additional potter or equipment cost. Nepal visas can be easily obtained from the Government of Nepal, Nepalese Embassy or Consulate office located in your country. You can get a visa from the Tribhuvan International Airport in Kathmandu on your arrival or from any other entry point in Nepal. Make sure to bring a few sets of your passport size photos. Visa fees are inexpensive. You can also apply for a visa in a near embassy or either you can travel to Nepal and get a visa on arrival. We will assist you to settle your visa work too. We provide you only Bb facility in city as preferred in itinerary. Full board meals are included (breakfast, Lunch and dinner with cup of tea or coffee) throughout the trek. We provide you food from the local tea house Mt. Lodge en route chosen from a menu. Breakfast and dinner is to be provided from the same tea house we would overnight but lunch would be en route in between. You can enjoy the Nepalese style cuisine or any other continental food as per required. You are to be giver from pizza to snacks. Most teahouses offer a variety of rice and noodle dishes, as well as soup and seasonal vegetable. A variety of cereals, bread and egg dishes are generally available for breakfast. Health is the most important part of traveling or trekking. One must possess good physical condition before and while commencing Himalaya’s tour. If you don’t have any trekking experiences better grab one or be physically prepare for the trek. Before commencing adventurous trek you can commence a short hike, cycling or a short walking tour, this may help you a lot throughout the trek. The highest height you will reach on this trip is 5545m from the sea level. The walk may be ups and down passing various villages, high land, wilderness and much more difficult and rough trail. We strongly advise travelers to consult with your medical doctor before travelling and do the regular check up of your health and report us while booking a trip with us. Our porter are fully equipped and insured for each trip they are responsibility with us. As you know that we are very honest with the porter issues and their condition while on trek thus we make sure that our porter are fully prepared for the trip. We are closely working with international porter Progress Association for the welfare and befit for the touristic porters. It is our company’s management system; the maximum load carried by our porter is 20 to 25 KG so be sure that your trekking bag is not loads more 20 KG. One of the most important factors of trekking is the travel insurance. To be sufficiently protected in terms of insurance, you will need specialized travel insurance for participation in risky activities. Your travel insurance policy must be covers emergency evacuation, trip injury, lost baggage, medical treatment and expenses, theft, liability is recommended. Make sure the insurance covers all the activities that you will be undertaking your stay in Nepal such as trekking and climbing including others trip. We organize any route of Nepal trek with fix departure basis or private trip, the minimum group size would be two and maximum group size is ten of more on request. We can also organize private trip to solo person with single supplement cost. Else, join our estimated group departure dates available online market or ask us with your personal suitable flexible dates, we will open group date on the same date. While if you are interested to trek or tour the natural and cultural beauty of Nepal you must go through online product. If you have gone through online product and want a booking, write and ask the information or phone us on our phone number for the trip booking confirmation. To be very clear understanding about the trip services we have also online trip booking. Once your trip booking request reached to us, sincerely we will suggest you the final trip booking procedure with advance payment of the trip, Non-refundable deposit of 20 percentage (per person) is required to confirm a place on your selected adventure Nepal activities. Please feel free to contact us in relation to any questions you may have regarding our trip booking process. All the information are free, please feel free to write to us. 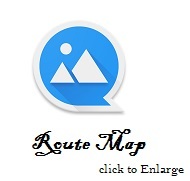 More information before travling to destination makes travel more fun and safe.